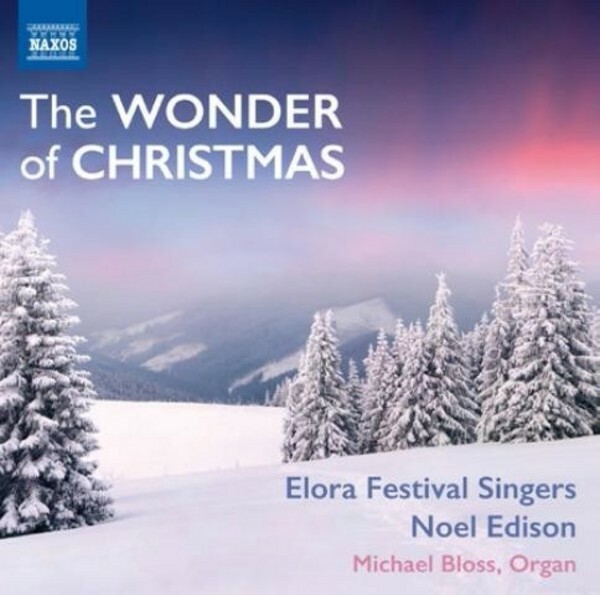 The Elora Festival Singers, conducted by internationally acclaimed director Noel Edison, is one of the most exciting of contemporary choirs. Their disc of Eric Whitacre�s choral music (8559677) was nominated for a Grammy in 2010. Now they turn to the art of the Christmas carol, a genre covering a variety of styles, both popular and refined, each piece expressing religious sentiments and beliefs. The music ranges from much-loved settings to new works, from polyphony to more straightforward melodies. This much admired choir and director have been lavishly praised for their previous Naxos discs. �Choral enthusiasts, arise! Here is a new recording that you can really get excited about.� - ClassicsToday 10/10, of the album �Psalms of the Soul� (8554823). This latest disc celebrates the art of the Christmas Carol, from the Middle Ages to the music of today, not least in the settings by John Tavener and the ever-popular John Rutter. This is the perfect Christmas offering.